Gaskill gives an inspiring personal account of her struggles and the lessons she has learned. About the first third of the book is her personal story. The rest of the book is encouragement to move out in faith, not letting fear have its way. 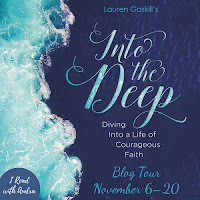 She wants readers to live the life God intended, diving deep and swimming with Jesus. I was impressed with Gaskill's personal account and her honesty about her struggles. She had stopped believing God's Word for her life. She reminds readers that there is a difference between knowing God and believing Him. Believing changes everything, she says. God did not take her problems away. Instead, He met her while she was a mess and began to change her inside. I really appreciate the wisdom in this book. The teaching is great and very practical. The insights are wonderful. The questions at the end of each chapter are great for personal reflection or group discussion. I highly recommend this book. 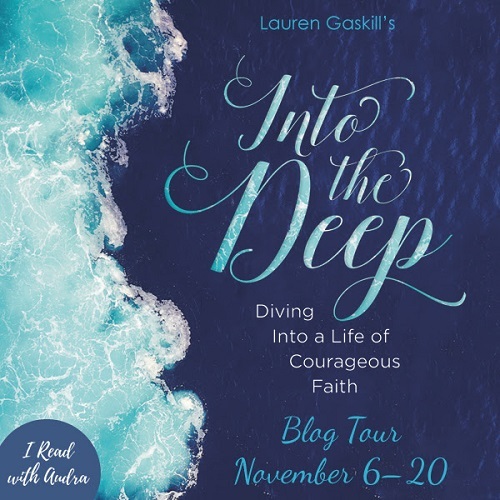 Lauren Gaskill is an author, speaker and host of the Finding Joy podcast and Finding Joy Ladies Night Out events. After being diagnosed with an incurable connective tissue disorder, she made it her life mission to encourage others to fight for faith and find joy – no matter what life's circumstances might bring. Gaskill is a storyteller who believes stories are powerful and loves how God uses them for His good. She writes and speaks to motivate and inspire others to experience abundant life in Christ. She is particularly passionate about encouraging women to fight for faith and go deeper in their relationship with Jesus. She also writes and speaks about what it looks like to walk with Jesus through pain and suffering. She lives in Raleigh, NC, with her husband and Cavalier King Charles Spaniel. Find her online at LaurenGaskillInspires.com or on Facebook, Twitter, Pinterest, and Instagram. I received a complimentary egalley of this book through Read With Audra. My comments are an independent and honest review. The rest of the copy of this post was provided by Read With Audra.